Doris “Dobby” Simmons McLean left the fellowship of this life on Thursday, November 29. A Celebration of Life service for Dobby will take place 1:00 PM Monday, December 3, 2018, at Bethlehem United Methodist Church, 5300 Nesbit Rd, Waxhaw, NC 28173. Interment will follow at Lakeland Memorial Park, 1901 Lancaster Ave, Monroe, NC, 28112. The family will receive friends between 6:00 PM - 8:00 PM, Sunday, December 2, 2018, at Bethlehem United Methodist Church. Dobby was born on July 4, 1927 in Granite Falls, NC to the late Doc York and Mollie Austin Simmons. Her husband Reverend Thomas C. McLean also preceded her in death. Along with her late husband, they served ten churches across the Western North Carolina Conference of The United Methodist Church. Each congregation they served enriched their lives and became a part of their extended family. Dobby was known for her soprano voice and she enjoyed being a church choir member as well as a member of the Pleasant Grove Campground Choir. She was an active church member delighting in the work of the United Methodist Women, her circle, teaching Sunday School and various church mission projects. She was a gracious hostess and her door was always open to family and friends. She was a master “made from scratch” cook and could put together a full course meal in a minute’s notice for anyone who might happen to drop by her home at mealtime. Next to her God, her family was her greatest joy and she loved them dearly. If there were a picture in the dictionary beside the word “grandma”, it would be hers. She enjoyed getting together with her immediate and extended family. She looked forward to cooking Sunday lunch and made sure each of the grandchildren had one of their favorites each week. 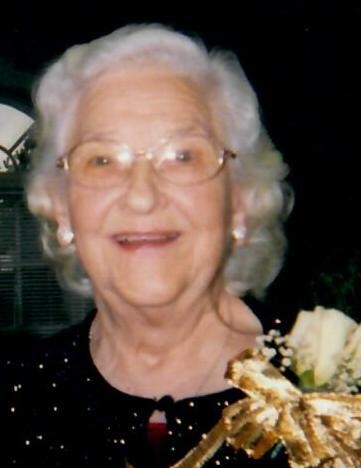 She and her late husband were known for their faithful visits and unfailing effort to stay in touch with the family and friends they cherished. Dobby was the final survivor of the 10 Simmons siblings. Preceding her in death were her nine siblings and their spouses: Wilma Dula (Fred), Claude Simmons (Hester), Beatrice Rhyder (Frank), Geraldine Dula (Hill), Fin Simmons (Pawnee), Christine Watson (Jigger), DY Simmons (Margie), Ernest Simmons, Faye Stafford (Charles). Her beloved father-in-law Kenneth McLean and mother-in-law Christian McLean as well as beloved McLean brothers-in-law and sisters-in-law also preceded her in death: Lloyd and Pauline McLean, Katherine and Arthur Cobb, and Charles and Mary Jane McLean. She is survived by her son Tommy McLean and fiancé Karen Elliott, her daughter Julia Tsitouris and husband Eric, four grandchildren Shannon Winchester and husband Matthew, Kyle McLean, Tori Tsitouris and fiancé Dillon Ashburn, Emry Tsitouris, two great grandchildren Cade and Deacon Winchester, Karen’s son John Louis Elliott, brother-in-law Danny McLean and wife Barbara McLean. She is also survived by a host of nieces, nephews and a large extended family all of whom she loved dearly. The family would like to express their sincere appreciation to the many caregivers that made it possible for Dobby to remain in her home. The family would also like to acknowledge the numerous cards, visits and acts of kindness shown to her by so many friends and the members of Bethlehem United Methodist Church. She was always humbled by your thoughtfulness and greatly appreciated your care and concern. Memorials may be made to any of the ministries of Bethlehem United Methodist Church 5300 Nesbit Road, Waxhaw, NC 28173, Pleasant Grove Campground PO Box 6, Mineral Springs, NC 28108 or Hospice and Palliative Care of Charlotte 7845 Little Avenue, Charlotte, NC 28226.